Since the 1930’s Finland has provided a maternity package to all new parents. These government issued cardboard boxes contain only a handful of items, but each and every necessity item ensures that all children, no matter what their family background, receive everything they need to be safely and accurately cared for. 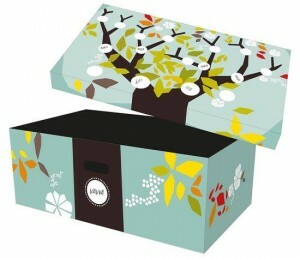 And some say that it is this box that has helped Finland achieve one of the lowest infant mortality rates in the world. When initially introduced, Finland was a poor country with an extremely high infant mortality rate (about 65 out of 1,000 babies died shortly after birth). It was given only to low-income families who were desperately in need of the items. But as mortality rates rapidly decreased, and government officials started to recognize the value of the box, it started being offered to all expectant moms (since 1949). The cardboard box, which can also be used as a bed during baby’s first few months of life, contains bodysuits, a sleeping bag, bath products, outdoor gear, infant bedding, a small mattress and cloth diapers. Mothers can opt to take a cash grant (140 euros), but 95% of all moms choose the box because its contents are worth more. For some, these items might be unobtainable, either because of time or finances. And because there have now been generations of mothers receiving the box, it has become a tradition and bonding experience for extended family. But the box does so much more than offer just a few important items needed to care for newborns. It also helps to ensure that mothers who might not otherwise seek medical care visit a doctor, which decreases the number of women going without prenatal care during their first trimester. “Not only was it offered to all mothers-to-be, but new legislation meant, in order to get the grant, or maternity box, they had to visit a doctor or municipal pre-natal clinic before their fourth month of pregnancy,” Heidi Liesivesi, who works at Kela – the Social Insurance Institution of Finland. In essence, the idea of the box is to encourage good parenting, which you can clearly see when examining how the contents of the box has changed over the years. For example, baby bottles and pacifiers, which were included for a time, were eventually removed to help promote breastfeeding. Picture books started to be included to encourage reading. And the box can be paired with the included mattress and bedding to provide baby with a separate place to sleep, which has been recommended by governments all across the world to decrease the rate of Sudden Infant Death Syndrome. 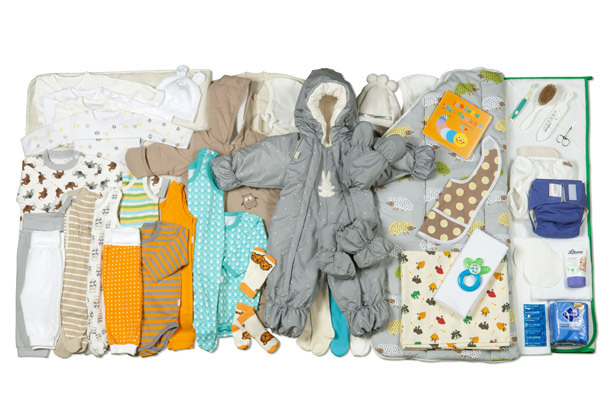 So could the United States learn through looking at Finland’s maternity box? In my opinion, the answer to that question is ABSOLUTELY! Having lived as a low-income mom, a teen mom, and a single mom in my lifetime, I can think of many instances where the box would have helped me. And I’ve known countless U.S. moms that it would have helped. Here are just a few of my thoughts. The box, first of all, could offer a safe place for babies to sleep in instances where co-sleeping may not be a safe option. The clothing and other items could ensure that all babies have what they need when they’re born, which eliminates having to make a choices between important baby items. For example, low-income expectant mothers wouldn’t have to forgo a car seat purchase to ensure their baby had clothing. In addition, the cloth diapers would ensure that babies had diapers at all times. I recall a specific instance in which someone I knew needed diapers. I didn’t have the money to purchase diapers for her, but I did have some extra cloth diapers that I gave her on loan. Even though she only used them for a short time, they got her through until she could afford to buy her own diapers again. Then there’s also the issue of maternity care. If expectant mothers are required to see a physician to get the box, it would greatly reduce the number of women going without maternity care – particularly those at highest risk for suffering miscarriage, preterm birth or other complications (like teen moms or women struggling with an addiction). But more than all of that, I think the box would give all moms a feeling that our babies are important, and it could encourage a sense of bonding and excitement during a pregnancy that maybe wasn’t planned to begin with. What are your thoughts? Can you think of other ways that something like the Finnish boxes could improve the lives of families and newborns in the U.S.? We’d love to hear what you have to say. This is an incredible program that should be offered to new parents in North America. The implementation of such a program would show support for families and also ease a bit of the stress of welcoming a new baby. It would also ensure that new moms have everything they need to keep their baby warm and safe for the first few months of life. This investment would also create jobs in many sectors as the clothing manufacturers would be producing more product therefor they would need more staff working at their facilities, more people to transport the products and also workers to put the boxes together. Every month we receive a large number of e-mails from moms who are in the low income category looking for help with diapers. Providing them with some cloth diapers at birth would ensure that these families always have an option to keep their babies clean and dry. I agree, wholeheartedly, Lisa. I hadn’t thought of the employment implications though; very good point! Expectant mothers are required to see a dr or a nurse in order to receive this box. They use mainly (because I can’t be sure it’s all) Finnish products so it is good for the economy too but mainly it is great for new mothers. I had triplets a year ago. We were at a time that we were struggling financially (just moved and bought a house and renovating was more expensive than expected) and our boys were born 16 weeks premature so we had to be in a hospital 4 hours away from home. We stayed in hospital some nights but some nights had to stay in hotels with our 18-month old in tow. To receive these boxes ensured my husband could spend time at the hospital and we didn’t need to save every penny for the boys’ clothes for the first months after they were released. The snow suit in particular was so much appreciated as those are expensive. And I say boxes because for one baby you get one box, for two babies you get 3, for 3 babies you get 6 and so on… You always get a choice to get either the box or a set amount of money, so many of my friends have chosen the money for a second child as they kept the first box from their firstborn. And obviously we didn’t need 6 of everything so we chose 3 boxes and 3 times the money which also was so helpful towards the first months.